Lisa loves John: Five on Friday Round Up! It has been so long since linking up for a five on Friday, and I decided that there was no better time than now to pick it back up - Linking up with April! John and I leave this weekend to stay with my parents for the week in Minneapolis; to say that I am excited would be an understatement! I’m looking forward to family time and slightly more holiday weather while celebrating Christmas! You know those awesome state-shaped cutting boards?! Well I am a proud new owner! My sweet friend Elizabeth surprised me with Texas cutting board as a house warming gift… and the best part? It’s from Etsy! I absolutely love it. Go check out AHeirloom and see their awesome stuff! Now that it is officially boot season, I’m doing my best to keep my boots in the best shape possible. I used to keep wine bottles in my boots to help them stay standing and maintain their shape, but they get quite heavy after a while, and I’m always concerned about the bottles breaking. I saw these make-shift boot trees using pool noodles on Pinteret that I am pretty excited to try it! Hopefully the noodles will be strong enough to hold up the boots, and if they do, I will consider it a total win! I saw this article via One Kings Lane, and just had to share. I’m loving all things white right now, and this is the perfect guide to pulling it all together and making it work. It's love... Am I right? Okay, okay, okay, I know that it is actually Thanksgiving next week, but I couldn’t help but pull out my Christmas décor just a tad early. Since John and I won’t be home for Thanksgiving, I wanted to make sure that when we arrived home that the house would be perfectly Christmas-ed for our return home. When are you taking out your Christmas décor?! This is our first year getting a fake tree, and y’all, I kind of love it. It was so easy set up, and I am SO looking forward to not having to climb under the dang thing and water it every day – woof! So I love a good deal, and I happened to be on Craig’s List looking for a lawn mower when I stumbled upon the two most amazing cane chairs for only $60! You best believe I snagged those bad boys up. They definitely are in need of a new cushion and upholstery, but they are quite sturdy chairs! I am thinking I reupholster them into something like the below barrel chairs from One Kings Lane. Any advice from people who have upcycled furniture before?! Swooning over that all white room. Too bad mine would be covered in brown dog hair :( :( :( that is SUCH a great idea with the boots! Mine are always flopped over and I'm scared they are getting bend marks. Going to try that! I totally use the pool noodle trick to keep my boots upright, too! Saves space in my closet, and my boots don't get crinkled! 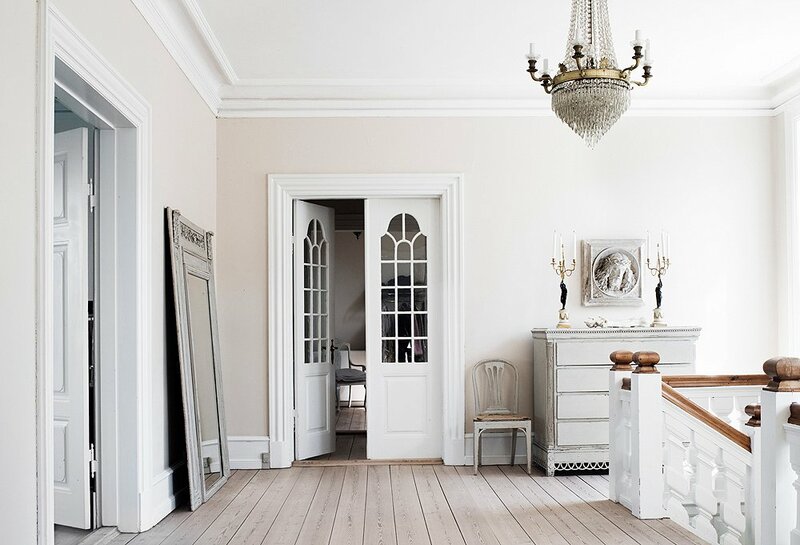 I'm not sure I could master the all white room, but it sure is pretty to look at! We have the Texas cutting board too and love it!! It's in storage but I can't wait to get it out now that we'll have a bigger house :) We always do a fake tree - with our allergies its a must! Easy to set up and take down. The boot ideas are genius! I should do that! Have a great week with your parents! I'll see you when you get back! love the cutting board! where did you find your tree at? we are in need of new one this year! hopefully, ours will be up Friday. hope you have a great time with your family! 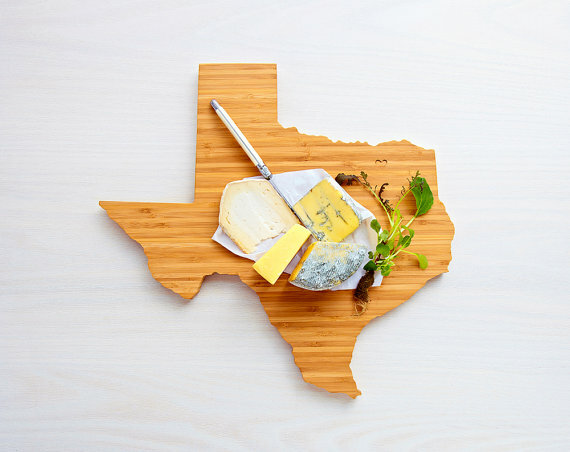 That cutting board is too cute - I love that the Texas version is nice and big! On my to do list for after the holiday season is to order some noodles and get my boots organized - I meant to do it over the summer but of course just didn't want to thing about it then. We decorated this week for the same reason and I love it! Enjoy your family time! I love having a fake tree! And let us know if the pool noodle thing works! I love your cutting board! I can't wait to put my Christmas tree up, and snuggle in front of it and watch a Christmas movie! Love!!! Scout is too cute! Those cutting boards are amazing!! 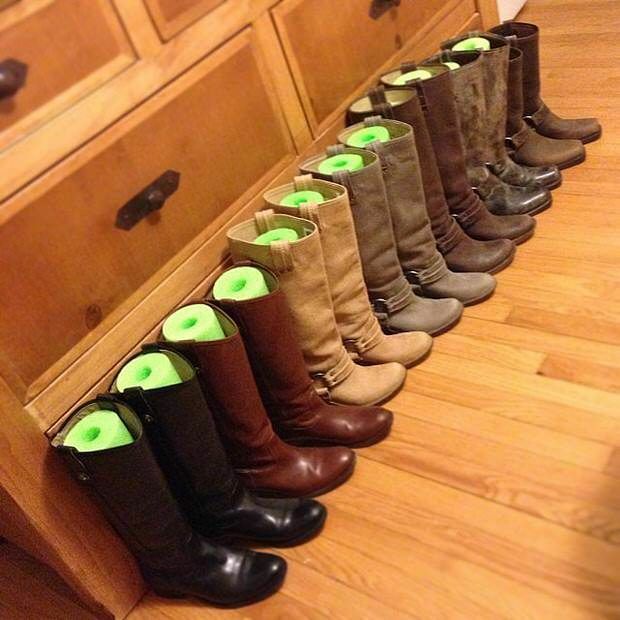 Such a great idea with the noodles for boots!